This week’s featured application comes to us from Keith Thykeson with Pioneer Synthetic Turf in Southern California. As we all know California has been suffering from a steadily worsening drought for the last few years. Synthetic turf provided by STI and its network of trusted dealers is the perfect solution for those suffering from the drought. 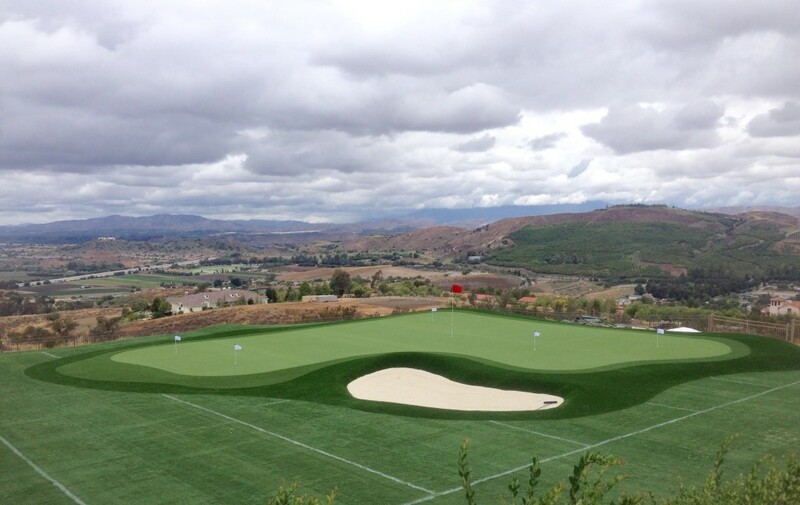 The large putting green features an STI Bent Grass putting surface with a SoftLawn® Kennel Cut fringe and a SoftLawn® Bluegrass Blend Rough. Our STI Bent Grass is an entry level putting surface that includes a multi-colored yarn that gives you the most authentic look possible. STI Bent Grass is designed to give the golfer a Stimp speed of 10 feet, perfect for putting and receiving chip shots from up to 30 yards when infilled with two pounds of sand. Bent Grass can also be used for bocce, croquet, tennis and cricket. The fringe is our SoftLawn® Kennel Cut which is an excellent product for commercial and residential pet facilities, with a thatch layer for added body, reducing the amount of infill needed and making it perfect for fringes. The rough is our SoftLawn® Bluegrass Blend, contains a thatch layer for added body, reducing the amount of infill needed. The four color blend of this product provides an authentic look and feel that truly resembles a natural lawn, allowing the green to transition perfectly. The STI Bent Grass is more receptive to the longer chip shots when hitting from the EZTee® Poly tee box/chipping station. 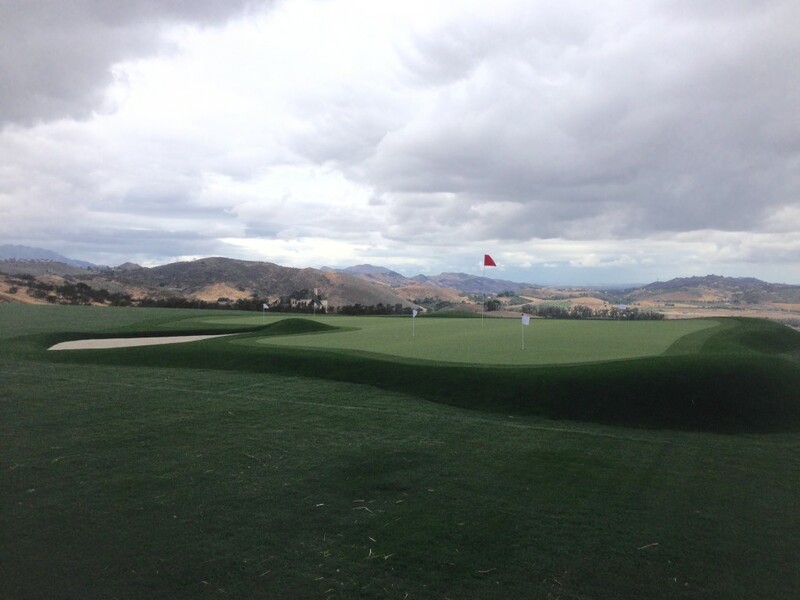 The smaller putting green features our premier NP50 putting surface with a SoftLawn® Kennel Cut fringe. The NP50 surface offers better putting practice for the homeowners and features the best texturized nylon putting surface available in the industry. There is no comparison to the natural ball roll and realistic speeds.